Discouragement is the companion of the family historian. You either learn to face it or you get out of genealogy. Genealogists and family historians come in all flavors. They’re as different as snowflakes. The one constant? They all must learn to deal with discouragement. If you’re going to stay in “the hunt” and continue your “backtracking”, you’ll need to overcome discouragement. Believe me. It will be worth it! Let me frame it for us. What are some common discouragements in genealogy? The learning curve – We can’t learn fast enough to prevent mistakes costing us time and money. The Cost of the hobby – Everywhere you turn, someone appears to be trying to “make a buck” off your interest in your ancestry. Disinterested family members – Our families may show little or no interest and may even be antagonistic toward our research. Missing courthouse documents – You put in the time and effort to go to the courthouse only to discover someone has either removed or displaced the record. Burnt courthouses – Not only is one document missing but all the documents burned up in a fire over 100 years ago! Online trees that propagate misinformation. Online tree owners who will not reconsider their tree’s information. DNA test results without trees attached to them. DNA test owners who will not respond to your messages or emails. Lost or corrupted files which are not backed up. Allowing the undocumented work of others to waste our time going up the wrong tree – an unforced error. Okay, that’s enough negativity. 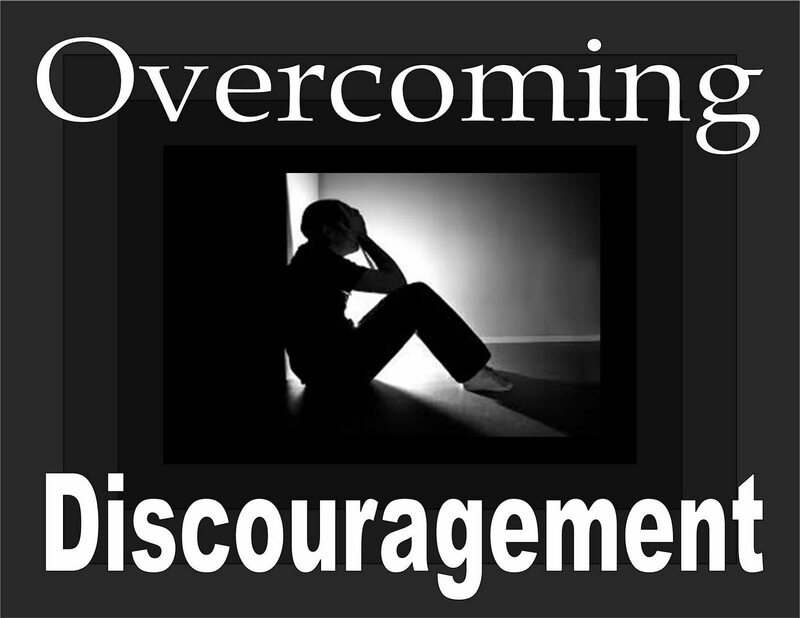 Most of us have experienced plenty of discouragement. It’s part of the hobby. How do we deal with our discouragements in genealogy? You might allow them to overwhelm you and force you out of the hobby. But because you’re still reading this post, I assume you want to overcome them and continue your research. Cut through the clutter by choosing to focus on one family line and one goal at a time. Such as, “When did great-grandfather Ingram first arrive in the county?” Learn, if you don’t know, how you could discover and prove this one thing and set about doing and documenting it. You’ll soon be piling up encouragements. Spend wisely. Ask others. Listen. Don’t be afraid to drop a subscription for a time. You can pick it up later. I once bought a year’s subscription to a newspaper service. I should have tried the free month and then stopped it when I realized it wouldn’t help me with my current family line. It costs me but I also learned from it. I let my Ancestry.com subscription expire at times and use those times to catch up on what I’ve gathered from their databases. Don’t trust undocumented family history information. It’s a choice. Use it as a clue but don’t trust it as a fact – until it has been proven. Take some time to be grateful for the documents you’ve discovered, the history you’ve uncovered, the family you’ve met, the cousins you’ve found and the mistakes not yet made. Gratefulness may be the greatest antidote to discouragement. Here are some things I’m grateful for today in my genealogy research. A wonderful glut of online free information to make me a better family researcher and save me time and money. Incredible library and research facilities within my reach. The ability to choose where, how and when I spend my resources on genealogy. Family members who listen, discuss, collaborate and cheer me on in my research. Hundreds of documents I’ve uncovered and retained in my research that add color and flavor to my family’s story. Online tree owners who have allowed me to view their private trees and been open to answer my questions. DNA tests and the wonderful cousins I’ve met (some literally) because of them. The ability to back up all the files that really matter to me on an external hard drive and/or in a cloud. So many reasons to be grateful. So little time. Encouragement is a choice. Choose wisely. Free updates to this blog will magically appear in your email inbox if you press the “Follow” button and share your address. I find myself periodically getting discouraged and deciding to put it away for a time. That never lasts very long and next thing you know, I’m back at it. You make many good points though Gary, and offer some good suggestions for overcoming discouragement. One more comment—great interview on GeneaBloggers today Gary! Thanks Michelle! You and the folks at Geneabloggers have been such an encouragement to me. What wonderful service Geneabloggers is to the genealogical community. I can’t say thanks enough! Hi Gary. I’m dropping in after reading your interview on GeneaBloggers. I enjoyed reading it and look forward to reading more of your stories. Thanks Wendy! I’m glad you stopped by and I hope you enjoy the blog. Gary, thank you so much for your backtracking blog! I have thoroughly enjoyed each and every one. This one of discouragement is very encouraging. I’ve encountered almost every one of the discouragements you listed. The one that frustrates me the most is the lack of interest from family members. I get a lot of “here she goes again” looks and rolling of the eyes! Another discouragement right now for me is the lack of time to “backtrack”. Thanks again for all your work and keep it up! Bless you, Cousin! Thanks Pam for your kind words. I’m sorry for my slow response. I’ve been out of town and will be back on the road this week. I hope I can get back to genealogy soon. I hope to be up your way in a couple of weeks. Keep backtracking! Next PostNext We Were Mentioned on Geneabloggers!